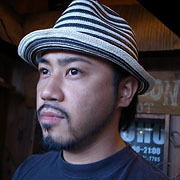 On August 11, 1978, Born in Tokyo, Japan. 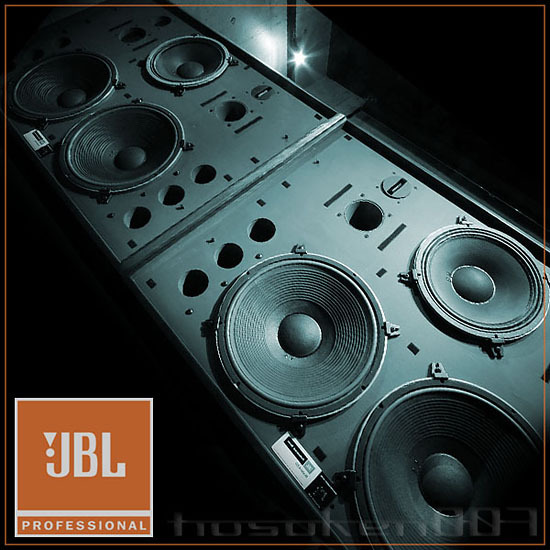 I was almost born with brilliant birth of excellent JBL "4343". Therefore, I usually respect speakers as a senior and care for it carefully. I played eagerly for Lego block play and manufacturing for the childhood. In small junior high school days, I was very good for the drawing and manual art. I did the metropolitan exhibition selection and winning prize in a picture work and molding. During Tokyo Metropolitan Koganei kita high school days, I hope it for university of a science and mathematics system course, but recklessly convert to art system entrance in spring of the third grade at a high school. I took a class of the science and mathematics system. And same time I did the training such as the faculty of liberal arts study and the sketch at the cramming school for University of Arts, Examination was unacceptable and I could not to enter the university. My friends studied hard very much and I also decided to study. I left home town and lived in the paper place,I studied for examination distributing a newspaper. Suddenly I canceled the cell-phone that was the communication means with the playmate, cut off the point of contact with the outside world, communication is impossible, the lonely life. I change to decide to the general University. I was regretting the many friends who lost it one-sidedly, and I dreamed of a gorgeous campus life, was delivering the evening and morning paper by bicycle, and I studied in the carving wood room of the four-and-a half-mat. Two places of this, there ware another delivery place, and it has mini bycicle. I felt a certain difference and wanted to think to give up delivery daily work advancing only slowly. I was feeling this especially when weather was bad. In the winter’s some day when a lot of snow feel. "I want to leave". Began at most for half a year. I will fail in thought in middle of will. After that I returned to my home town,when I worked part time job( but I can not want to do so), still camera man ( my friend) telephoned me. Don't you have a job in my office if you have a free time? Assistant leaves it now and I am busy. In 20-year-old summer, I was adopted as a junior in the photographer office. I experienced the assistant and cold do photographer's light job. The photo report charge of the weeklies for the photography and the writing. After starting a single life several years, I will transfer to medical care-affiliated copying photography and medical personnel specialty website production division that the our company began as the other business I started and did the systems construction, web production, photography only myself. Released time when my very busy daily life is to do the audio system of the hobby. My 24-year-old time I finally got JBL 4344 by a loan for three years, in the days of a junior high student, I had watched only for admiration. Short time I looked and polished it and listened and was satisfied ..., I was interested in the damaged box and performance is maintained or not. At first I studied and put care by own way and could approach the original slowly. When I was young, I play with Lego block and machine , the sense of an idea trained by electronic revived. That the moment "研志" named "will be studying,", that the talent was shown. In 27-year-old summer "I will go in this" so I leave the company that worked for seven years i and decide that I live with my hobby. The JBL repair business that I began with ten quires home of Nakano-ku was the downstairs karaoke snack trace which it was bankrupt its business as a warehouse. In those days, the secret of the room remodeling is introduced in the media. So it became small, a half year later, I moved to Minamimagome, Ota-ku and worked as Small Office/Home Office for one year. Handling of products mark increase and separate an office in current Kamiikedai, Ota-ku because of the enlargement. Until then, I had sold only at Yahoo Auctions, I started in the mew own site. I began as "JBL43Freak" changed a name of to "KENRICK SOUND". Because I met American partner, Rick. 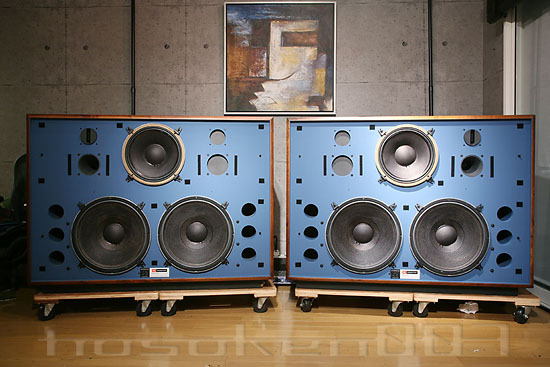 Established in November, 2009, KENRICK SOUND Co., Ltd. The company office of Kamiikedai spreads in showroom, workshop, storage of speaker, warehouse. Four years past through when I lost employment and seventh years from side business time. I am planning the opening of the salon in the suburbs of Komazawa - Jiyugaoka (It started from Apr 2011 at Jiyugaoka). And, I want to manage lounge bar of KENRICK CAFE or BAR (a tentative name). (The key of this is a speaker system of KENRICK SOUND and in the daytime, as a speaker showroom and as the sound bar at night.) I have an own deal plan to do the inner decoration, and the sound facilities too.